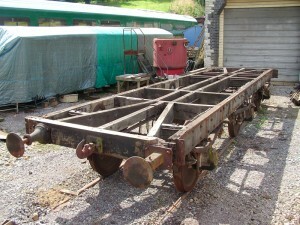 Items from the margins of railway relic land are being offered for sale, to support restoration work on rolling stock (see photo below). I will hope to add new items on a weekly basis, so please keep looking. I have used my general knowledge to describe the items to the best of my ability. If I have misrepresented an item, please let me know and I will make corrections at the earliest opportunity. This site is still under construction – please check back frequently. Please feel free to browse. Items are arranged in categories in the left-hand menu. All items have a unique reference number – please quote this in any correspondence. Postage will be combined to reduce, when multiple purchases are made.